Mining Engineering has raised $ 21,165 from 43 gifts! One of the original degrees offered from Montana Tech, Mining Engineering offers students the chance to learn how to design, construct, and manage surface and underground mines. Students that pursue a career in the field of Mining Engineering will be prepared to meet the vigorous demands of environmentally responsible natural resource development and receive a comprehensive engineering background with specialized training in the mechanics of geologic materials, blasting, materials handling, mine valuation, ventilation, environmental considerations, and the design and operation of surface and underground mines. Mining at Montana Tech is a proud tradition and we invest our students overall experience. We believe in opportunities for hands on learning and a great example of this is The Montana Tech Mining Team. The International Collegiate Mining Games began in 1978 to honor the memory of 91 miners who died on May 2, 1972, when fire broke out in the Sunshine Mine near Kellogg, Idaho, one of the world’s largest silver mines. Since then, the games have been dedicated to all miners who are lost on the job and Montana Tech has represented our state in all 39 annual events. 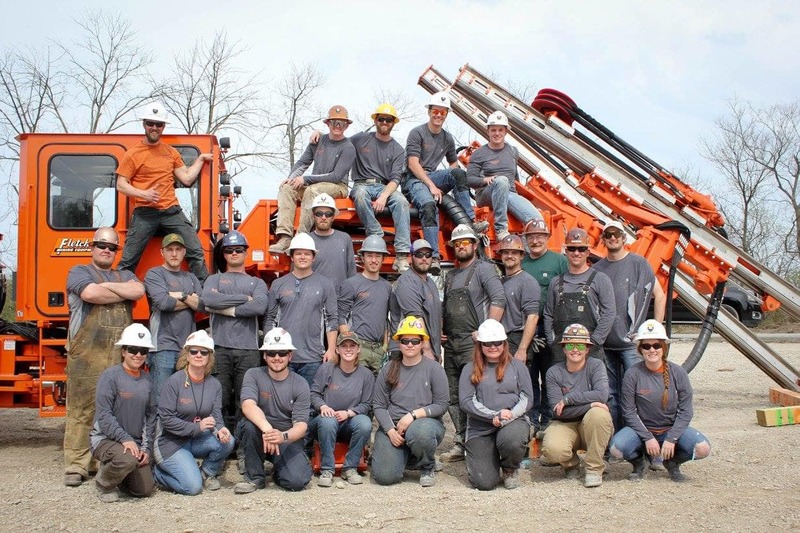 In 2017, at the 39th annual International Collegiate Mining Competition hosted by the University of Kentucky at Hamilton Hinkle Paving in Georgetown, Kentucky, Montana Tech’s co-ed team placed first. The last time Montana Tech’s co-ed team took home first place was in 2004. The co-ed team took first in mucking, first in gold pan and placed well in the other events. Montana Tech’s men’s team placed third overall, placing first in jackleg drilling beating the competition by over 33 inches, first place in hand steel at 15.975 inches, and placed well in the other events. In spring 2018, the Montana Tech Mining Team will participate in the 40th Intercollegiate Mining Competition in Camborne, England. We are asking for your support to help our teams with travel costs for this year. All gifts will be used to support multiple Montana Tech teams attending the competition. We sincerely appreciate your support of Mining Engineering at Montana Tech and the Montana Tech Mining Team.